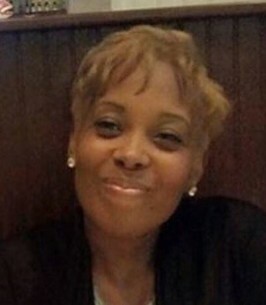 On September 19, 2018, the dearly beloved, Shani Kelan Gray-Gaines, heeded to Jehovah's divine call, departing this life for paradise. Resting peacefully in both love and comfort, she was surrounded by family, friends, and her devoted husband, Kenya Gaines, who never left her side. Shani was born on October 14, 1973 in Wilmington, DE to parents, Sarah and James Wesley Gray, Sr. She was raised in Wilmington, DE, where she received herearly education and graduated from DelCastle Technical High School where she studied Cosmetology. Shani worked at various financial institutions in Delaware before eventually becoming employed with the government. She worked for the State of Delaware for over ten years, beginning her career with the Department of Labor, followed by the Division of Social Services. During hertime at the Division of Social Services, Shani was an exceptional Case Manager, often going above and beyond to ensure that her clients were receiving the care, kindness, and resources that they needed. Shani grew up in a household full of fond memories. Her brothers, James and Jamaal, often complained about being forced to watch classic movies and musicals because she was so enamored by old Hollywood. Shani also had a close relationship with her younger sister, Sandy, and their cousins, Mia and Nikki. As kids, they would pretend that their kitchen sink was a restaurant drive-thru and that they were serving customers. One of Shani's greatest loves would become music and all things creative. In high school, she starred as Michelle in her high school's production of DreamGirls. She was also very supportive of her brother's music careers, always ready to attend any of their shows to support them. In addition, Shani developed a love of poetry. She would travel to Philly to go to local open mic nights with her cousin to hear her recite. Shani really enjoyed watching the Golden Girls and Watch What Happens Live with Andy Cohen. Shani was a lover of all things vintage. She collected everything that was vintage from movie posters and old pictures to clothes and jewelry. Her love of fashion and style was unmatched. Even with a casual dress code at work, Shani would boisterously walk into the office in full make-up, hair done, a flowing skirt or dress, jewelry, and a pair of fabulous high-heels to match every look. She commanded attention in each "Good Morning" that she would boast loudly to everyone that she passed. Shani loved her family dearly. She loved to watch her niece, Jewel, dance ballet, and it would always make her day. She was thankful for her mother, for whenever Shani needed her, she would rush by her side. Shani also adored her husband Kenya, and she thanked Jehovah for providing her with a man of integrity, strength, and faith. In addition, she was an extended mother to many – a role that she enjoyed. Shani's greatest love was for Jehovah and Jesus Christ. It was through her strong belief in Jehovah that she strived to walk in love and light and raise her children to do so as well. Shani loved her children dearly and she considered them her greatest blessing from Jehovah. She would protect them by any means necessary and did whatever it took to provide for them. But even though Shani understood the significance of her faith, she found it very important in her own personal walk in faith that her words didn't just reflect Jehovah, but her actions as well. She made the shy feel welcomed, the unseen to feel present, the down and out to feel uplifted, the unheard to feel powerful, and the discouraged to feel encouraged-all rooted in her love and faith for The Great I Am. No matter your race, orientation, background, or otherwise, you were a friend to her. Shani was preceded by her father, James Wesley Gray Sr. and son, Justin Gray-Lofton. Shani leaves to cherish her light in their lives, husband: Kenya Gaines; mother, Sarah Gray; children: Seth Gray and Jordan Gray; stepson: Kenya Gains, Jr.; sisters: Nadirah Abdur-Rahim (Habib) and children: Bilal, Abdul, Abdur-Rahman, Ibn-Hasim, Hakeelah-Neffera Ba and children: Alkeytria, Jerelle, Brittni - Saundra Woody (Eric) and children: Alexxis, Adrianna, Jonas; brothers: James Gray, Jr. (Shenita) and children: Michael and Jewel Iman - Jamaal Gray (Tamicia) and children: Devon; aunts: Lena, Glenda, Birtha, and Theresa; uncles: Carl, Mike, and Eugene; with mother-in-law: Dorothy Gaines; brothers-in-law: Alfraizer Young, David Gaines; sister-in-law: Nancy Gaines; cousins: Nikki and children: Brandon, Kyle, Jordan - Mia and children: Anya and Logan - Corrinne and children: Makhi and Anjale; best friends: Kwamsha, Dena, Joni, and Michael “Meems” Williamson. To send flowers to the family of Shani K Gaines, please visit our Heartfelt Sympathies Store. We encourage you to share any memorable photos or stories about Shani. All tributes placed on and purchased through this memorial website will remain on in perpetuity for future generations. As one of the dearest members of our extended family, we will miss Shani's beautiful, soft, and sweet spirit. Although miles separated us physically, our hearts were always connected. Each time we were graced with her presence, it was a moment we cherished and will never forget. We send our dearest love, understanding, and prayers to her dedicated husband and her immediate family. While this has been a challenging few past months, the Lord God will always provide us with peace, comfort, and the endurance to go through any situation with the confidence of Christ. We love you all, Gray and Gaines family, and are praying for your strength. Shani, you were a bright light in this world. To Kenya and the rest of Shani’s family - my deepest condolences.